Check out the Loudoun Now article about Brainiacs! Here is a great article showing the research that highlights the differences and similarities with how girls and boys learn. 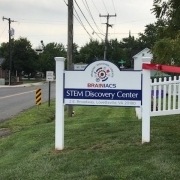 More than 150 people came out this weekend to check out the Brainiacs discovery center in Lovettsville. Here are some photos from the day. https://www.brainiacs-stem.com/wp-content/uploads/2018/05/brainiacs-logo.png 0 0 Jill Kurtz https://www.brainiacs-stem.com/wp-content/uploads/2018/05/brainiacs-logo.png Jill Kurtz2018-08-20 10:39:062018-08-20 10:42:02Open House Was Awesome! So close….classrooms are getting their final touches this week. Excuse the mess, had to share!